Aaargh happy birthday 13th birthday Lakota! How's it feel to be a teenager? <33 This girl is super kind, smart, and friendly, and an excellent person to have on your admin team. She's wicked intelligent and helps me with all my problems, TFC wouldn't be what it is now without her. I love you, Happy Birthday Lakota! 13 eh? oh man, I do not miss the middle school years. what are your celebration plans? Btw, what do you use to draw Nova? Cool! That computer sounds awesome. Okay, I'll have to try that out. Ahh I know....seems almost unbelievable...and to see how much my art has improved! Lakota, if you see this, how are ya? 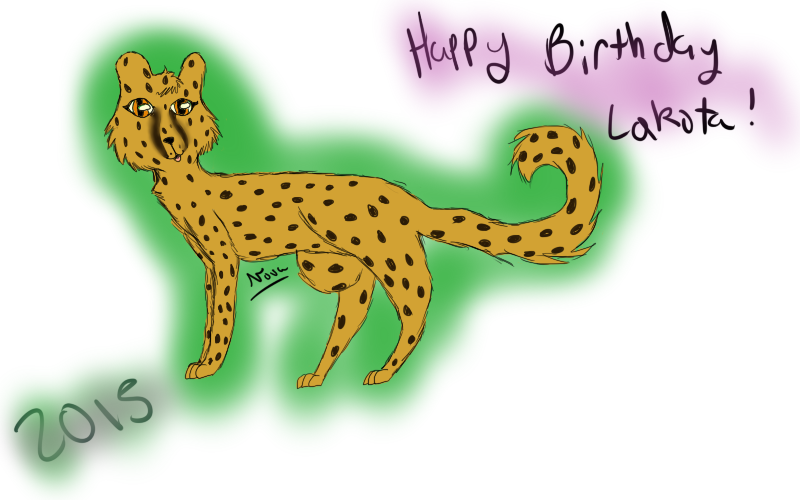 Subject: Re: Happy Birthday Lakota!